I’ve been thinking about our drawing challenge: abundance for the whole week. 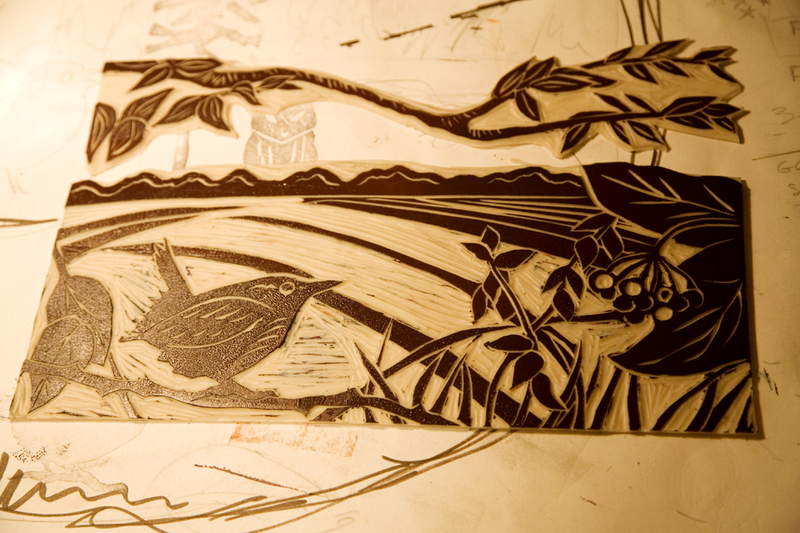 So I went up into my recently cleaned up studio, where I was playing with my stamps and wondering why I draw and carve animals looking left, and remembered I started carving a little linocut with a little wren looking right…because…why not break a habit I didn’t even know I had? 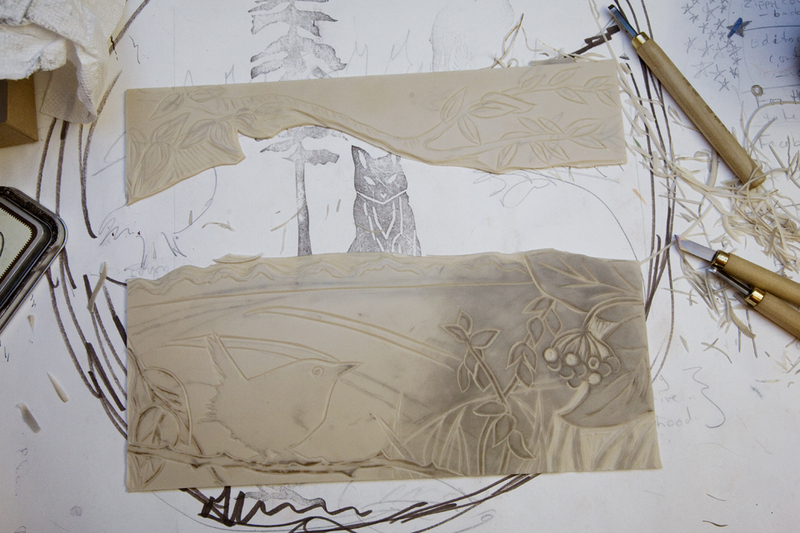 Originally I cut this lino block in half and then forgot what I meant to do with it, but then I remembered. 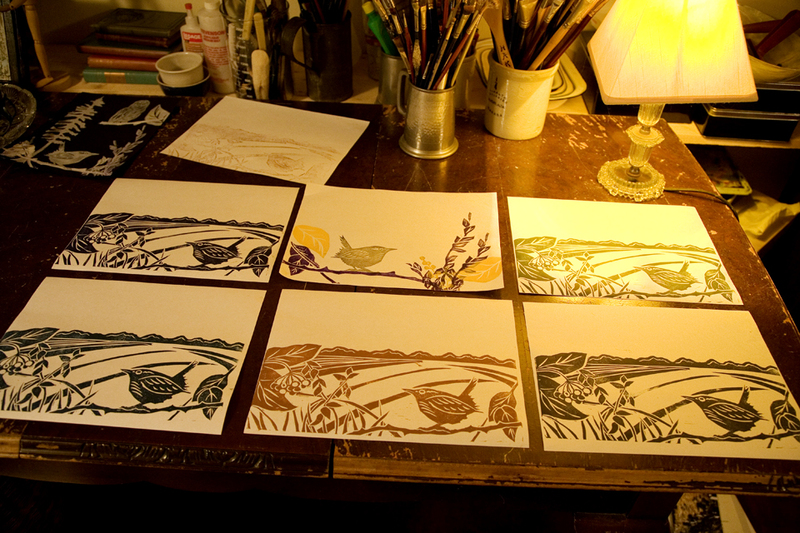 What if I could treat a linocut like a stamp of sorts and mix and match the pieces? 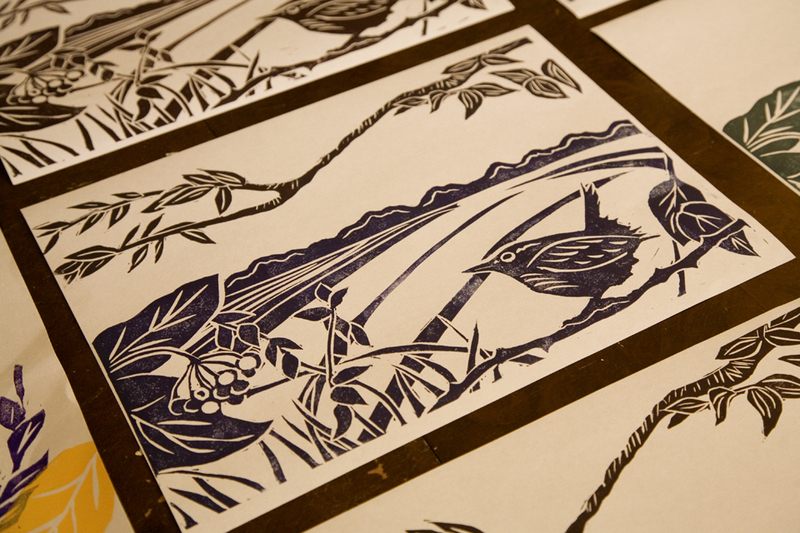 Now, I’m not that great at lino cutting, (not enough practice), but when I took the first printing from the bottom half I was really pretty pleased with myself. 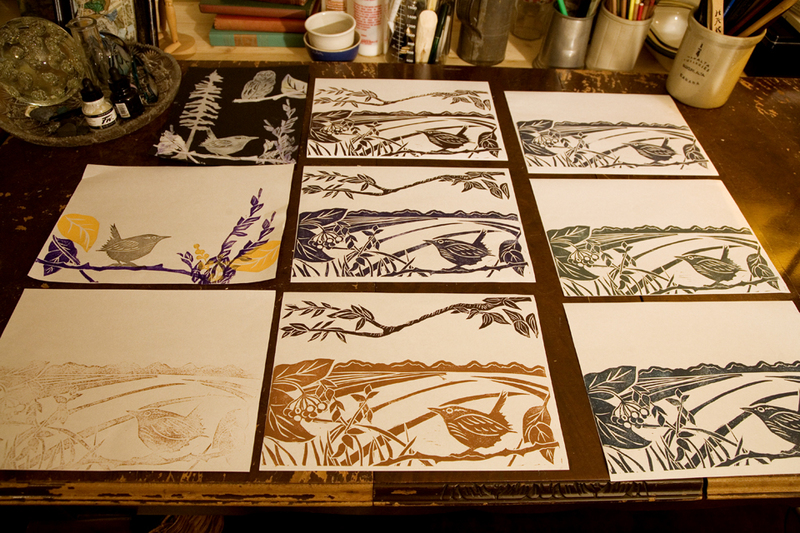 And pretty soon the art table had some nice prints, plus the original stamped inspiration papers. I love that there’s no one around telling me that I can or can’t do it this or that way. I have a limited amount of inks and first I used a brown, then squished some blue for the second print, then some purple for the third…etc. I love the mix of colours much better than the straight out of the tube colours. 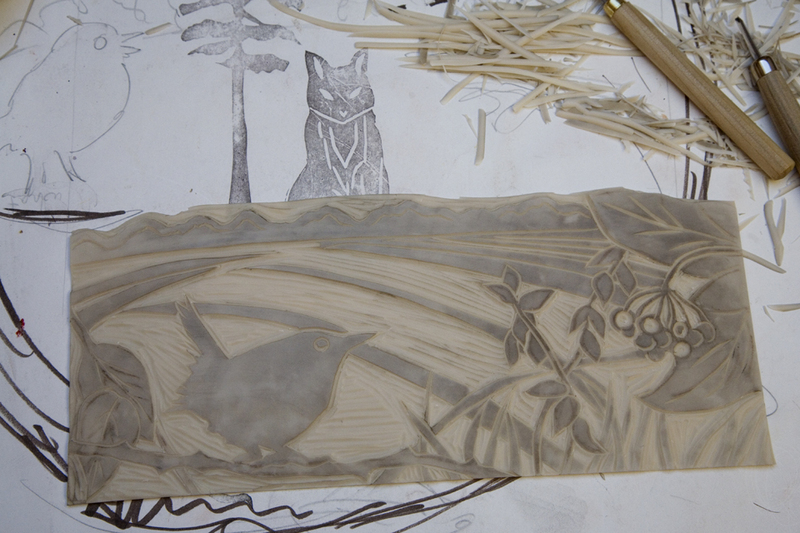 Then I carved the top part of the stamp, and inked that too. 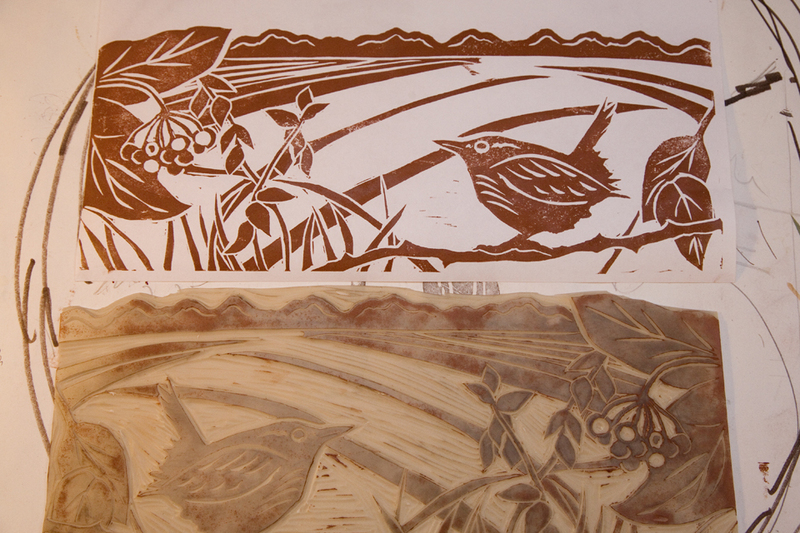 Then I chose the prints I liked the best and printed the top part with the branch lino. I think I like this one the most. Then I used a little red acrylic paint and coloured in the berries. And here we are! My drawing challenge: abundance. I love this image. It represents that kind of tending the land which produces abundance for everyone. The farmer tends the fields and provides for his family and tends a hedgerow for the keeping of all the wild creatures. 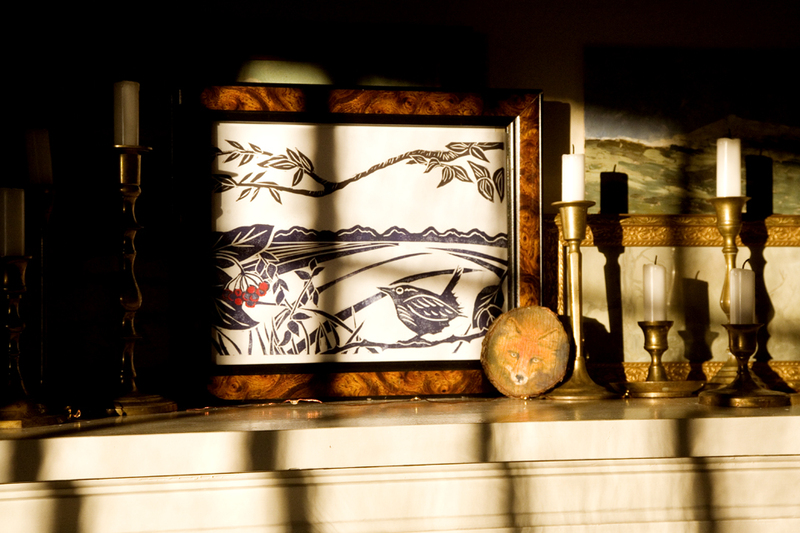 I think your linocuts are quite beautiful, Veronica, and a wonderful representation of abundance. Is the drawing challenge for this weekend or next? Or just for the whole week in general? oh man, you’re good at it, come and instruct me a little, won’t ya? it is gorgeous, it is sumptuous and abundant of your enthusiasm. LOVING it. i will be up, what am i saying, MY ENTRY will be up before long. enjoy that weekend! x n? I love that you illustrate & explain your process, Veronica, and the finished art piece is gorgeous. It suggests a spirit of interdependence, and the gifts of abundance that are available to all. I love, love, LOVE this image! thank you for hosting again and again in this place of abundance! I think I absolutely should try thah lino-thing too!!! It was very enjoyable to read about and see your process! You are doing so well with the carving and printing. I like how you have created freedom to use your lino blocks in such diverse ways and not limit yourself to one design/print. Thanks for hosting the challenge again! It was really thought provoking and fun, as usual! I so much love these pictures. Your prints are wonderful. I have never used lino before, but it looks so much fun! Maybe I should give it a go.